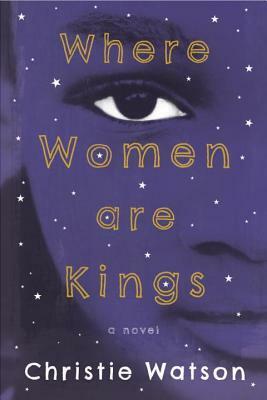 Thank you, Other Press for sending us a copy of Where Women Are Kings, by Christie Watson. Having just finished, I’m now in a bit of a literary funk. This one might have left a scar. This is not a light read in any sense, and when you’re finished, I predict that you’ll revisit the end more than once. Every single page of this novel is an unflinching look at how a troubled youth is created, and what kind of otherworldly strength is required to help. This book brims with unconditional love and unparalleled pain. Simply put, Where Women Are Kings is not for the faint of heart. I had no idea that I would come away from this story with a new perspective, and I thank Christie Watson for shedding an honest light on the tragedies that some families bravely face. Where Women Are Kings shares the story of 7-year old Elijah, a Nigerian boy who is taken from his birth mother. His birth mother Deborah, a Nigerian immigrant who lives in England, suffers from debilitating mental illness. This mental illness peaks after the death of her husband, and she is left alone with an infant boy. Ill suited to care for her own son, she approaches a local Nigerian “bishop” for help. (I use this term loosely, as this “bishop” is nothing more than a sadistic con artist.) Together, they embark on a years-long campaign of exorcism that is almost impossible to comprehend. Once purged from his birth mother’s grasp, Elijah lives with several foster families before finding his forever home. Nikki and Obi are a bi-racial, British-Nigerian couple who have waited many heartbreaking years to have a child. They take Elijah into their home and their hearts, with sincere promises of protection and unconditional love. And while social workers have shared with them that Elijah bears the emotional and physical scars of a small boy who lived a horrific life before coming into their fold… they do not know the entire story. Is this fearless couple strong enough to break through Elijah’s troubled past and help him understand that he’s a good boy? Will Elijah come to terms with what his mother did to him, and will he ever stop longing to be with her again? And when Nikki discovers, almost miraculously, that she’s pregnant, what will happen to Elijah’s lengthy phase of adjustment? Nikki and Obi were warned not to try to have a child again for several years. Elijah required this time to heal, and for this, they were advised that he needed to be an only child. The looming due date stares down at this little family, and as a reader, all you can do is wait. There were moments in this novel that were so difficult to read that (at the time), I found them almost gratuitous. In hindsight, they were nothing of the sort. They culminated into a broken little boy, who was just desperately unlucky to have been born to a sick mother. What I wanted more than anything was for Nikki and Obi to get through to Elijah. He deserved their love. He deserved the love of his new grandfather, his new aunt and his cousin. He deserved this chance, as so many other children do. When children aren’t permitted to be children, all is not right in the world. Where Women Are Kings thoughtfully examines complicated adoptions, and the horrific effects of mental illness. I admire how Watson approached such sensitive topics. It’s as though she puts her arm around you and says “you need to hear this.” She doesn’t just gloss over the emotional ramifications of taking in a frightened child. She delves in, eyes wide open, and takes her reader with her. Your attachment to Elijah will take just a moment, but your affection for his character will linger. What is so poignant about this novel is that this could be the story of any child in foster care. It could represent any couple who selflessly and courageously reaches through the muck of abuse to pull an innocent out. Having left the company of Nikki, Obi and Elijah, I now root for foster children everywhere. 5 heartfelt stars for Where Women Are Kings. Books rarely make me cry. This one did.